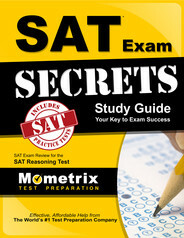 The SAT exam is a college entrance and placement exam taken by approximately two million students each and every year. The Reasoning portion of the exam is broken down into three categories: Writing, Mathematics, and Critical Reading. The Writing section is further broken down into a 35 minute multiple-choice section and an essay section where the student is given 25 minutes to write on a given topic. Each section, including the Writing portion, is scored on a scale of 200 to 800 points, with 800 points being the highest possible score one can receive on each individual section. With only twenty-five minutes to write an essay that will effectively convey to the scorer that the student has great writing skills, the task can be daunting, and especially to students who are not confident in their writing abilities. However, there are some tips and strategies that will help students to perform their best on the essay. There are many opinions as to what the scorers of the essay are looking for when they are reading the essays. Some people will argue that students should stick to writing a basic five-paragraph essay. Others will argue that in order to show that students are familiar with a variety of literature; they should quote from well-known novels as often as possible. And others will try to convince students to write as much as possible in the given amount of time. The truth, however, if that the scorers of the exams are high school teachers and college professors who have read thousands of essays. They are extremely knowledgeable about writing and they have read the very best essays and the very worst essays. In the end, the scorers are looking for an essay that contains the author’s unique voice, has a well-developed point of view backed by insightful supporting details, and skillfully uses the language to create a well-crafted essay. Although you may have the impulse to immediately start writing, instead begin by thoroughly reading the entire assignment. Every essay section on the SAT will begin with a paragraph. The paragraph explores a specific issue and is taken from an author or from a book. Before starting to write, explore the paragraph. Think about questions that you may ask the author. Do you agree with what the paragraph is stating? Why or why not? Can you provide examples or details to back up your opinion? By taking a few minutes to explore the issue, you will be able to form your point of view and organize what you want to write. It is important to have examples in your essay, but it is more important to thoroughly explore and explain these examples. Writing an essay with one or two well planned, well-thought out, insightful examples will score better than an essay with numerous, simplified examples. Also, do not be afraid to use “I” in your writing. The essay is asking for your point of view, so using relevant information and examples from your personal experiences can add a unique touch to your essay. Finally, pay attention to spelling, grammar, usage, and punctuation errors. An essay full of errors will distract the scorer from the content, which in turn will lead to a lower score. Ace the SAT test using our SAT exam study guide with practice questions. 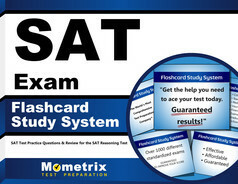 Quickly Solve Difficult SAT Test Questions with the SAT Flashcard Study System.